Morocco colour 1, originally uploaded by Andrea Zani. They say the simplicity is the essence of design. There is not really anything all that complicated or complex about this image. 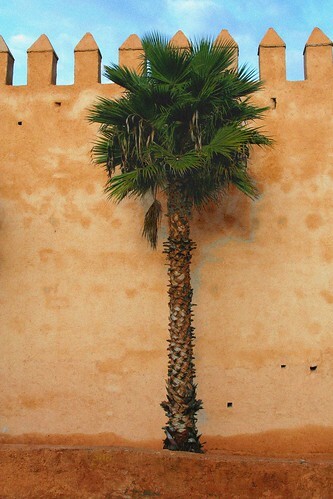 It is just a lone palm tree (Washingtonia robusta) standing beside the wall of an old medina in Rabat, Morocco. I think that the best tree images are when the tree´s surroundings act as the frame for the tree. In this case the old medina wall provides a great backdrop that greatly enhances the picture of the tree.